How difficult is to protect your iphone for you? If you don’t have the answer then let me tell you that. 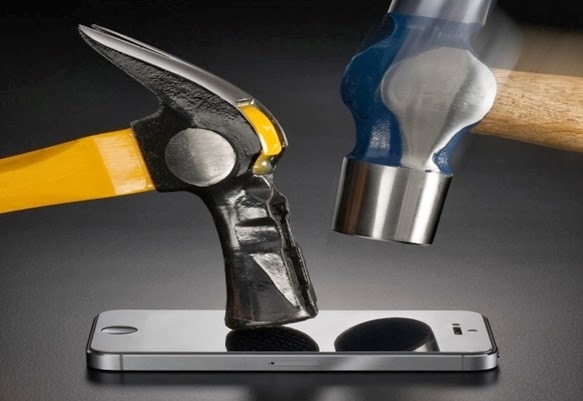 Protecting your iPhone could be very difficult for you some time, if your iPhone gets only some small scratches on the screen or the body gets a crack then it could not be a big problem for you, But how will you protect your iPhone screen if it gets most brutal collision hit, a Knife stroke, and from an Accidental Hammer attack? ‘’Rhino Shield’’ could prevent your iPhone from theses most brutal accidental attacks on your iPhone. Rhino shield is made from an ingenious custom-formulated polymer screen which absorbs 5x the impact energy of the Gorilla glass, Which keeps your iPhone screen safe from most brutal attacks like accidental hammer blows, drop down and other brutal attacks that could harm your iPhone screen. The Rhino shield screen is jsut 0.029cm thick and light that makes it very impressive very protective too. You can use Rhino shield as a ultimate protective solution for you iPhone which can protect your iPhone from all the accidental collisions, and it dosen’t creates any difference with you phone’s touch-screen capabilities, your iPhone screen works perfectly as normal. Rhino shield is very easy to apply on your iPhone screen, just put it on your phone screen and wipe down with help of the cloth and the self-adhesive silicone will automatically clings on your iPhone screen very easily. And it also don’t get any sticky residue and air bubbles on the screen. I think Rhino shield could be the best protection for your iPhone device if you are really serious to protect your iPhone from any accidental collisions. You can get this Rhino shield for your iPhone from FIREBOX online priced £17.99.